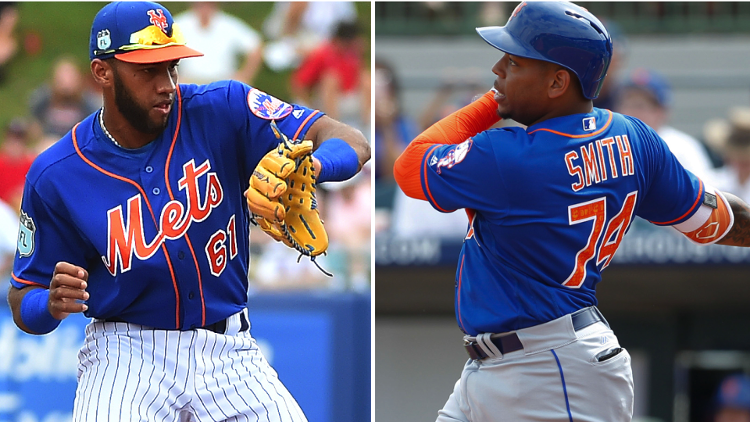 Should the Mets call upon their top prospects? 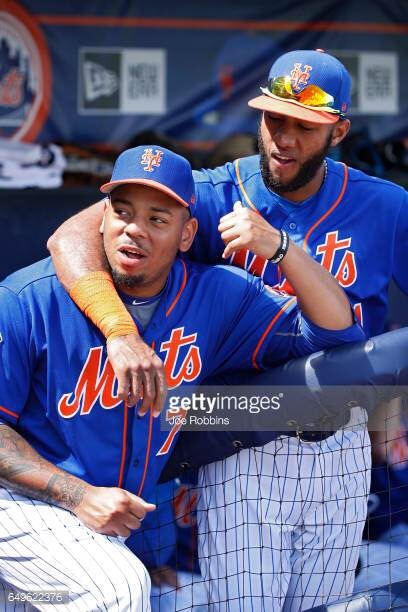 Ideally, I’m sure Alderson would love to give Amed Rosario & Dominic Smith, at least a full season in AAA Las Vegas before considering either one of the two for a promotion to the bigs. But with Jose Reyes batting an abysmal .104 with a .189 on-base percentage & both Flores & Duda going to the DL, the Mets might have to consider calling up one of their prized prospects. While playing in Cashman Field in Las Vegas is a hitters dream, it’s also tough to gauge a player’s true potential & value when the next step is Citi Field and it plays the exact opposite once the batters get in the box. However with all that being said, Rosario is hitting a healthy .414 alongside a .455 OBP & a .486 slugging percentage in 18 games throughout 70 at bats. After a total of 376 games and 1452 at bats throughout Rosario’s MiLB career, he’s batting .287 with a .334 OBP and a .393 slugging percentage while being quite the elite defensive shortstop as well as consistently playing against older competition. It wouldn’t be outlandish if the Mets decided to give Rosario a shot at third base during Reyes’ struggles, at the very least both players could split the time while Terry rides the hot hand. It also doesn’t hurt that Rosario is a threat on the base paths like Reyes, so platooning the two players wouldn’t need to consist of any other line up change. Across the diamond at first, the Mets are experiencing similar issues with Lucas Duda making his way to the 10-day DL after hyperextending his left elbow Wednesday vs the Phillies. Even though Jay Bruce has replaced Duda at first since his DL stint, they do have the option to place him back in right field & take a look at Dominic Smith at the regular season, major league level. Smith, just like Rosario has also been spending the start of the season in Las Vegas, manning down the first base position on a regular basis. In 19 games, Smith is batting an impressive .329 with a .370 OBP and a .487 slugging percentage over the span of 76 at bats. Smith is also regarded as a plus defensive first baseman with a grade of 60 on the 40-80 scale. What really stands out about Smith as well, is his advanced approach at the plate with a high walk & low strike out rate. So I would expect that if either Duda or Flores’ DL time is extended & TJ Rivera continues to underperform at the major league level, that the Mets would highly consider calling up one of and if not both of the young stars, especially if they continue to have roster issues past the point of mid-late June. So while a lot of us fans and “Mets Junkies” were anticipating both young men to play a part in the 2018 roster, we very well may see them in Citi Field in the midst of this 2017 season. So while the Mets historically are known for having top notch pitching talent, whether it be players acquired from outside the organization or the outstanding pitchers they’ve developed since the 60’s, it’s also a good time to be excited about the offensive homegrown talent that the Mets will eventually display, sooner or later.